Yes, they were a lovely family. They lived in Cairo in one of those rare villas, a remnant of an earlier, more gracious time. There were oil paintings on the walls, carved furniture in the salon, and antique carpets on the floors. Chandeliers shed a soft and flattering light from overhead. With a shock of hair, the father gestured when he spoke. He conversed passionately about the political scene, and regaled them with stories of his Egyptian youth, a time when Jews, Copts and Muslims had rubbed shoulders. An accomplished photographer in his younger years, his work had been shown in exhibits. With her long glossy hair drifting down her back, the mother was the perfect foil. She had a doctorate like her husband and was an entomologist by profession. A modern liberal streak marked her words in a way that was memorable and unusual, even for Cairo. Like their mother, the two daughters were tall and elegant. With tapered fingers, they served glasses of chilled hibiscus juice, making guests feel immediately at home. Articulate,they spoke easily about a wide variety of subjects and seemed mature beyond their years. And if that weren't enough, even the soon-to-be-son-in-law was charming. A filmmaker in the midst of research for an upcoming film -- a social commentary about AIDs in Egypt -- he was very clever in a way that managed not to provoke jealousy, but rather admiration. Why the whole family seemed perfect. That is........if it hadn't been for the little boy. Impervious to admonishments, he interrupted constantly. In a loud and grating voice (and dragging his toys into the middle of the living room) he demanded to play games at the most inopportune times. His behavior was borderline odd -- for example, for quite some time he lay on the floor with his arms and legs sticking straight up in the air. And perhaps most astonishingly, he once actually bit his mother. It was somewhat embarrassing really. The guests pretended not to notice. Surely, surely, he must have been adopted. 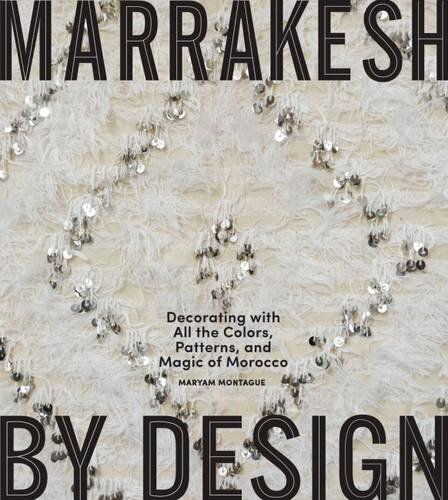 MY MARRAKESH is the blog of Maryam Montague, Creative Director of M.Montague -- a Marrakesh-based lifestyle brand that does good through their products and their hotel. © Copyright M.Montague 2014-2017, All Rights Reserved.